It doesn't matter which part of the county you live in, the changing weather is likely to be a constant reality for many. 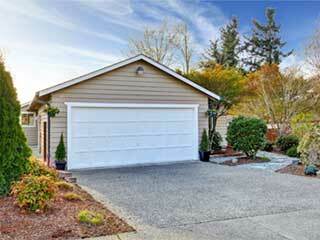 Not many homeowners realize how much the elements can impact their garage door. Harsh sun, rain, snow, sleet, hurricane, and humidity can all affect the operation and condition of your system. Find out more below. Do you sometimes wonder why your garage door will sometimes simply not respond when you trigger it to open or close? Does this happen at particular times of the day? You may be surprised to learn that direct sunlight can impact the sensors in the same way as an obstruction - this will actually work to prevent the door from closing. If you can't get around this, the best solution is to temporarily block the sunlight's path while you trigger the door to close. Both heat and humidity can affect the way a door functions. On a hot summer's day, depending on your location, the temperature inside a garage may reach up to 100⁰F. Surprisingly, this can alter the sensitivity adjustments of your opener and even the travel limit. Slight adjustments here can help your door to open and close properly again. During an electrical surge in summer or spring, which can happen more frequently during a storm, garage door openers can become particularly prone to impact. Investing in a good surge protector is advisable - all you need to do is plug this in at an outlet where the opener is also plugged in. Single outlet protectors are easily available on the market! Ultimately, you can't control the weather but you can impact how your system confronts the elements by following some simple measures. For further assistance, just get in touch with our team in McDonough, Georgia.